Please check this video about programme of EVERGREEN SPORTS JAPAN first. Fun is our number one priority. Feeling which "fun" is very important emotions, when you work on something or challenge something. Through football, you can get a sense of fulfillment if you overcome the problems, challenge and never give up. It becomes a pleasant feeling and leads to feeling of "fun". We are always aware of this thing in the training, aim to make an environment that the kids will challenge, overcome and enjoyable. Our role is just to help natural growth of passion for football. 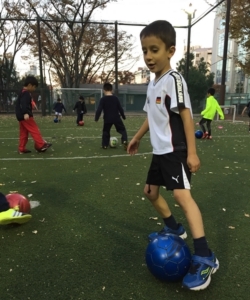 The longer time to touch the ball (talk with the ball), the kids will improve more. It's necessary that coach's story as short as possible and kids touch the ball (talk with the ball) as much as possible. Football is a simple sport. Attach the wings that is “imagination” to the individual skills and fly around the field freely. However, kids are very confused because many coaches for young generation make football difficult. The delightful play will never show up if it's like penance that coaches always talk during training and in the match under the tactics that is like be bound the wings of imagination. 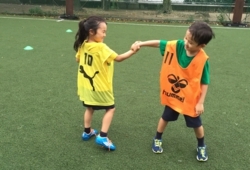 Moreover, it could be deprive their love and passion for football, and future potential. 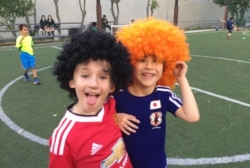 Unique players who is effective on the world stage will never be born if we don't foster kids' ability of think by oneself and behave as oneself. 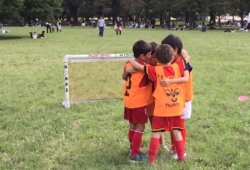 What is needed to the coaches for young generation is to help increase likelihood of kids who will lead the next generation, not for coach's satisfaction. 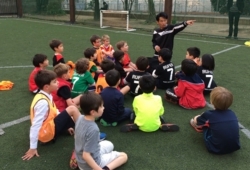 Our job is to create environment and programmes that kids get skills naturally through touching the ball, and restrain the emotion that want to teach. "Good coach is a teacher and a friend who encourages you." It's important to bear in mind that the coaches enjoy football themselves, always have the ambition, learn and listen. In addition, we should be recognised that affect to the kids' all of the actions and spirits which is technical, mental and physical side, as well as the kid's later life. ・We work on actively every situation as a growth opportunity. ・We do conversations and actions lovingly, and do everything with sincere attitude. ・We respect personality, aware of each individual’s qualities, then tell that. ・We share pleasure and joy, appreciate to being able to learn and grow together. ・We obediently listen to the story, and accept without judgement. ・We speak the words to give courage, and we won’t forget to support beside the kids. A good player is also a wonderful person at the same time. Life Skills are the power of think yourself and live as yourself. And also the technique of shine yourself. We work on to get various Life Skills through our programmes (trainings), and the kids to be successful as a person in the future. 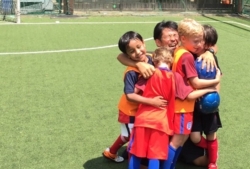 The biggest difference between the common football school and us is this Life Skills programme, and this is the biggest feature of NPO EVERGREEN SPORTS JAPAN. 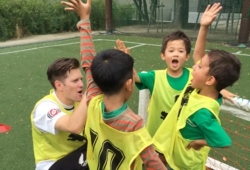 We promise that the kids improve football abilities, as well as grow humanly.